All returns must receive a RETURN MATERIALS AUTHORIZATION (RMA) number from the Sentinel Mouthguards Customer Service Department prior to shipment. This RMA number must be clearly noted on the outside of the returning package. Please contact customer service at info@sentinelmouthguards.com to request refund. An RMA number will be supplied in reply email. If products are shipped without an RMA, the customer will be charged a $25.00 (US dollars) processing fee. 1. All products returned for money back, credit or exchange must be of sent to: Sentinel Mouthguard Co. 1146 39th Ave NE 33703. Products purchased more than 90 days prior to the current date are not returnable for credit or exchange. 2. A copy of the original invoice must accompany all product returns for credit or exchange. 3. Any credit applied will be based on price of the product at time of purchase. If customer has paid an additional cost for expedited processing time ($75 service fee) this fee will not be refunded. 4. No discontinued products will be accepted for return. 6. Subject to the above, products can be returned within 90 days of invoice date for full credit. Products will not be accepted for return credit or exchange beyond 90 days from invoice date. 7. 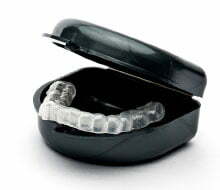 Final approval for replacement or credit is at the sole discretion of Sentinel Mouthguard Co..
8. Transportation charges for returns must be paid by customer on products returned for credit or exchange, regardless of the warranty period. 9. Customer will be eligible for full refund within 30 days of purchase if customer decides to not go forth with purchase. 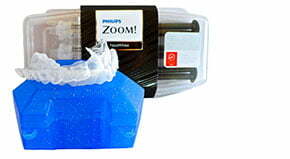 Unused dental impression kit must be returned within 30 days of purchase to receive refund.